If there is a shell floated (ghost loaded) on the lifter, running the bolt feeds that shell into the chamber. If there is not a shell on the lifter, you need to press the carrier catch plunger (at the rear of the lifter and just forward of the trigger guard) to release a shell from the mag tube and place it on the lifter. Then you run the bolt to feed that shell into the chamber. Thanks, that sounds like a great system! That is the weakness of my modified 1187 - once the mag is loaded and there's a round in the chamber, there's no way to empty just the chamber. Also, to totally unload the SG all rounds have to be manually cycled through the action, which is an archaic way to have to do so. Very cool, thanks for the explanation! Got the SGA stock mounted today. Adam suggested to me to use a blow dryer and vice grips to remove the rod. Well I don’t own a blow dryer so I tried using a soldering iron heated up to 450. Tapped it around a couple spots on the rod to melt the loctite, and used some vice grips and it comes out like I had oiled it. The SGA stock and forend make this gun handle like a dream! The stock makes a world of difference. Hopefully I’ll get out to shoot it tomorrow. Has anyone found a new solution for mounting a QD mount for the sling on that front section? I used an extra BFG loop to attach it and while it works a QD would probably be much better. 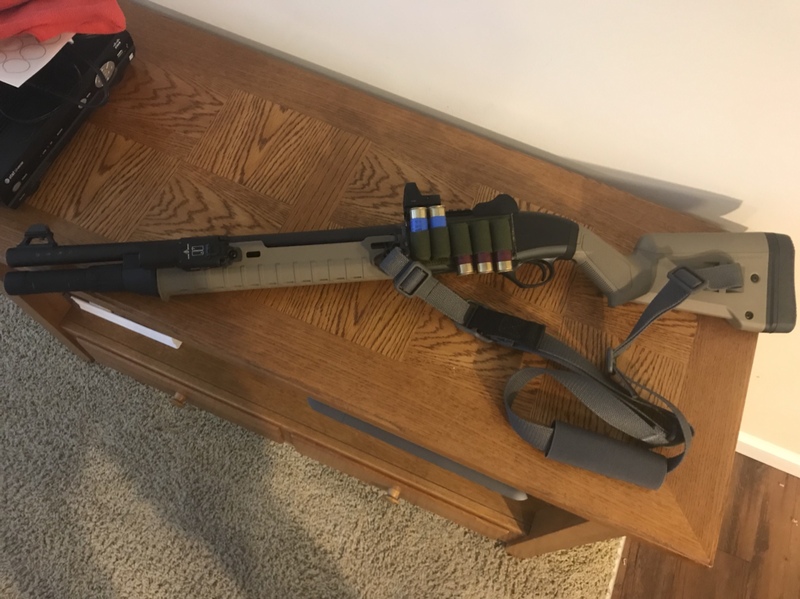 Please stop - you’re going to cost me money buying Magpul furniture for my 1301T! 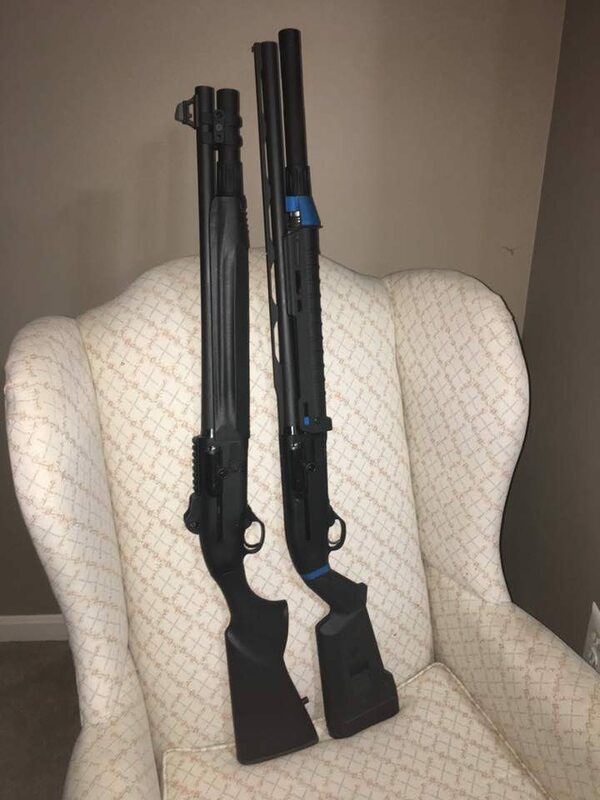 I’m new on forum and to shotguns . Bird hunted with HK Benelli black eagle I think it was called still have it. I’m looking for the best price on a Beretta 1301T Marine. I don’t fine a lot of the Marine finish in stock. I plan to do the Magpul stock and fore-end grip and etc. . I think that will look good . I read the entire link on the 1301 it was very good and I learned a bunch from it. Hey guys, I just saw a buddy installed this on the partial rear slot of the Zhukov handguard. Looks like it might be a solid solution, though I don't have first hand experience. Owner of Aridus Industries. Creator of the Q-DC, CROM, and other fun shotgun stuff. I had to hit the handguard with a deadblow to seat into the front adapter once mounted. But, its nice and flush now. I need to take it back off the adjust the detent on the lockring though. Yeah- my front adapter takes some “persuasion” each time I put it on. I find that I can get it seated by cranking down on the Nordic locking nut, then backing it off to merely “snug” after the adapter is fully seated on the handguard. 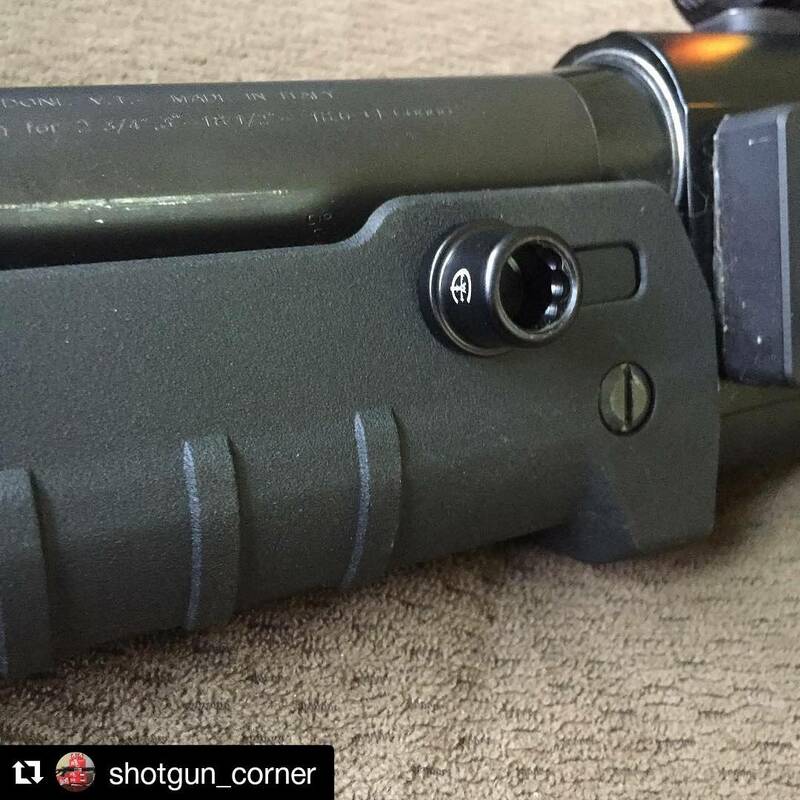 As an aside, I’m really pleased that the pins on the handguard that engage with the receiver are made of metal. I managed to break the plastic ones off from my OEM handguard at some point (maybe by cranking down too hard on the Nordic locking nut?). Man I finally got to check out a 1301T, shocked how small and light it is. Jonesing for one! Project complete! The Briley trigger group is installed, so I'm now 922 (r) compliant. I cut the Nordic spring to mag length +17", and that was just right to hold 7 shells. Is there any compelling reason to use the Nordic clamp? It seems like overkill for the short +2 mag extension unless I will mount something on it. This thing is going to be a PIA to disassemble for cleaning, and that will make even more of a pain.